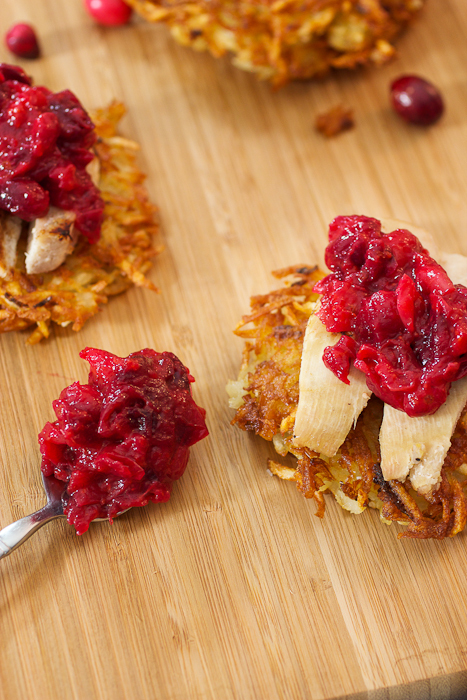 Crispy potato latkes are topped with turkey and cranberry chutney to celebrate the merge of two food-centric holidays this year, Thanksgiving and Chanukah! It’s extremely rare for someone to get to say that something is a once in a lifetime event but this year thanks to the Hebrew and Gregorian calendars aligning that event is happening and it has been dubbed. Yes it is true, the first night of Chanukah and Thanksgiving are falling on the same day this year. This event won’t take place again for another 70,000 years. You might have some serious great ancestor around to celebrate then but for now, let’s eat. Stefani from Cupcake Project realized the awesomeness of these two great food-centric holidays and rounded up a fantastic list of bloggers to create the perfect menu for your Thanksgivukkah feast. The amount of creativity that went into all the dishes is outstanding and in my opinion it shows that Thanksgiving and Chanukah foods were meant to be eaten together. 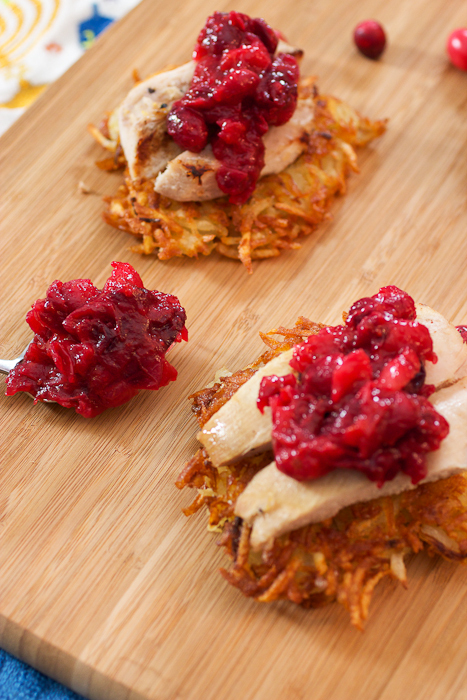 I pretty much had it planned out in my mind from the beginning to do a latke topped with turkey and cranberry chutney. As I was putting these together, I realized hey I’m building Jewish tostadas here! This dish is extremely deceiving, the latkes alone will fill you up and then to add some extra goodies – well you’ll want to put on those stretchy pants :-). 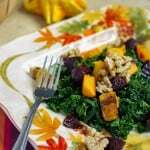 In my opinion this is better suited for the day after of Thanksgiving, it’s the perfect use for leftover Turkey but if you are hosting only a small group for Thanksgiving these sure beat roasting a big ‘ol turkey! My cranberry chutney is quite tart, if you prefer one that's on the sweeter side I suggest doubling the amount of sugar added. Leftover turkey from Thanksgiving or 1lb turkey cooked cutlets, cooked to your preference. In a large mixing bowl, combined the shredded potatoes, onions, flour, baking powder, salt and pepper. 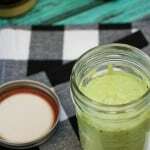 Squeeze tightly to remove excess liquid and drain. In a large frying pan over medium heat, pour in enough vegetable oil to reach 1/4 inch high. To test that the oil is hot enough, place a small amount of latke mixture in the oil if it bubbles right away you are good to go. Gather together about 3/4 of a cup of latke mixture in your hand and flatten into a round patty. Squeeze out any additional liquid and fry until golden brown about 3-4 minutes on each side. 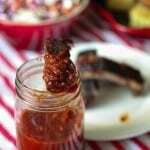 Transfer to a paper towel lined plate and season with additional kosher salt. Continue to fry latkes, adding more oil to the pan if necessary. While the latkes are frying, in a small saucepan over medium heat mix the cranberries, orange juice and zest and sugar. Bring to a boil and cook, stirring frequently until the cranberries having broken down and thickened - about 10 minutes. 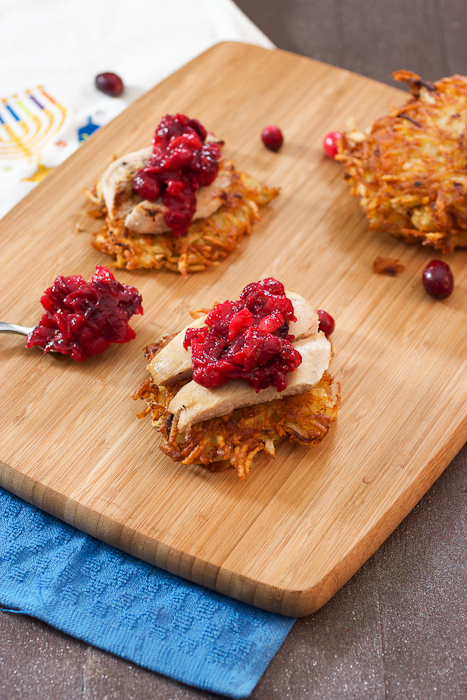 To plate: Place a latke on a place with a small amount of turkey and top with cranberry chutney, serve immediately. 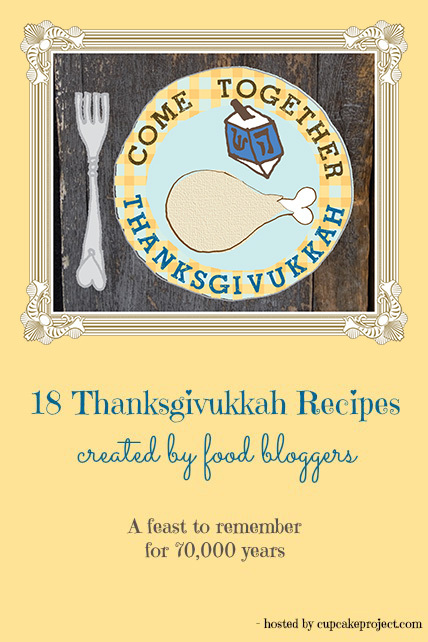 For more menu ideas, check out the rest of the Thanksgivukkah Potluck! 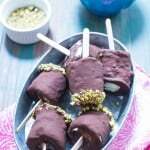 These look like the perfect little bite! So tasty! I didn’t think latkes could get any better, but you did it! Bravo. I love latkes!!!! I can so see myself frying up these little potato pancakes and topping them with the turkey and cranberries and eating it standing right next to the stove! That’s real talk. It is going to happen. No need for plates. PS I love the idea of a Jewish tostada! hahaha! Those may well end up on my holiday table! 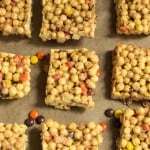 Susan – great to meet you via this virtual potluck. I love your photos! So nice to meet you too Lois and thank you! 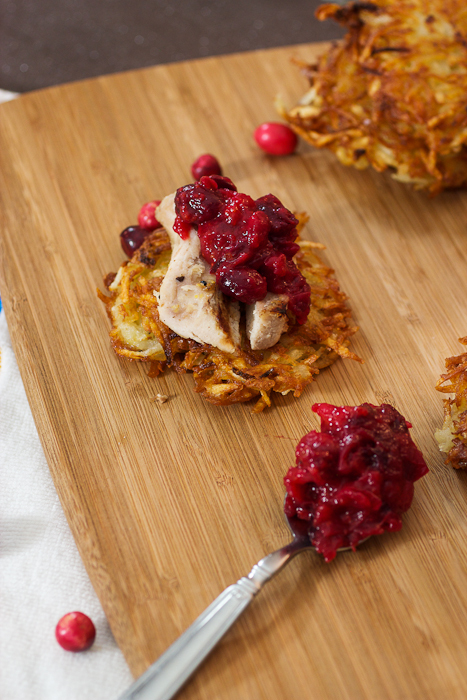 Put a second latke on top and you’ve really outdone the traditional leftover turkey sandwich. 🙂 Your chutney sounds great, too. I loved cranberry sauce on the latkes, might have to keep that in mind even when we go back to plain old Hanukkah. How cute are these? Plus super delicious looking. I love potato latkes. I have eaten them with many toppings but never cranberries. Love it! 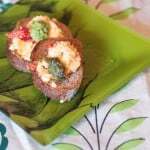 Those are awesome – the perfect appetizer! We need to start a new movement and create all different types of Jewish Tostadas! 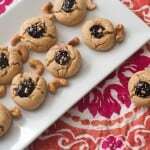 These look really delicious, and thank you for the cranberry chutney recipe. I’m going to clear space in the freezer before cranberry season ends and buy a bunch of bags, again, and I’m glad to have a new recipe idea. It sounds terrific with the turkey and latkes. Thank you Kirsten! I know exactly what you mean about stocking up on fresh cranberries, they look amazing at the market this past weekend. And I am just now finding this out?! Thanksgivukkah! Haha brilliant! These latkes look incredible! 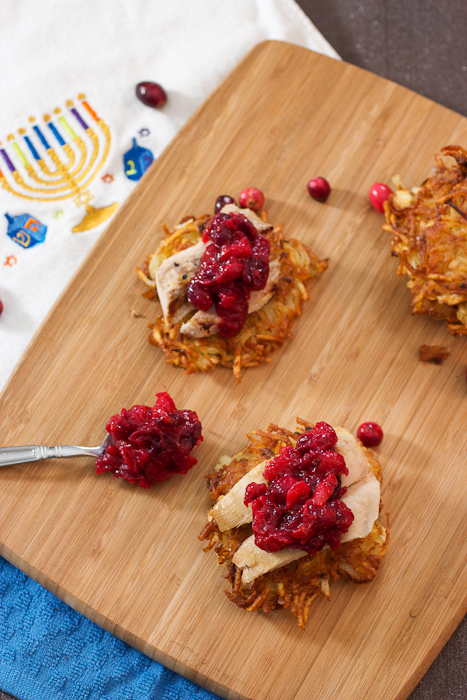 Thanksgivukkah is an amazing idea, as are combining potato latkes (dang those crispy edges look perfect) with turkey ‘n cranberry. There’s no telling how many of these I could inhale. 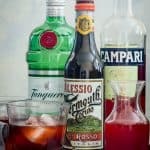 I don’t remember if I commented on this already, but on reading it again, I am so sure these are going to be on the table for Thanksgivukkah, Part @ – The Sequel (a/k/a the next day for leftovers!). Perfect combo!